This all makes sense, because browsing the actual Amazon website to buy things is indisputably a better way to comparison shop than having options conveyed via speech. That’s due to a multitude of factors, one of them being that whenever Alexa is unable to return an Amazon’s Choice product—the line of products it chooses via an undisclosed method—it is likely to recite a belabored string of search-optimized garbage. 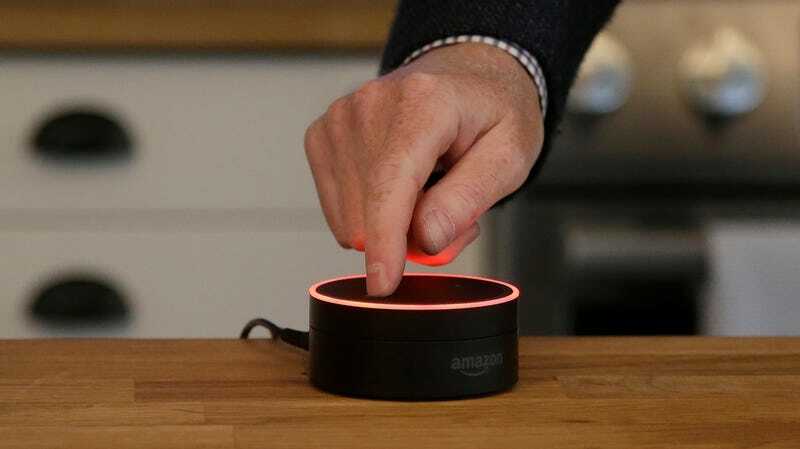 Factor in the inability of a smart speaker to actually let users see the product in question or quickly browse through reviews, or the mechanics of switching between shipping and payment options, and ordering via voice suddenly doesn’t sound all that great when users’ money is on the line. And those tricks Alexa might use in the future to juice up the voice-order business might come across as transparent ways to inject advertising into the home, which could in turn result in people just asking it to shut up. At its core, though, one of the things that keeps people going back to Amazon is the huge variety of products, whereas a smart speaker really only seems ideal for pushing specific products that people already know they want. (Hence the heavy slant towards home products, in which picking an exact item matters less than, say, a new TV, a specific type of phone charger, or a chef’s knife.) At the end of the day, the best tool to do that—a computer or smartphone—is already in all of its customers’ hands. In other words, Amazon could be pushing something that would make it a lot more money if not for the fact no one really wants to use it.